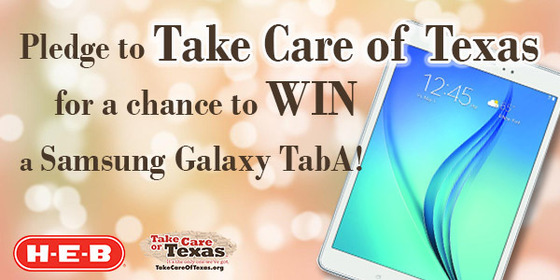 For a chance to win a Samsung Galaxy TabA 9.7", pledge to Take Care of Texas. If you've already pledged, you can still enter by referring your friends to take the pledge. Hurry, the contest closes Dec. 11. View the complete contest rules on our website. The holiday season is in full swing, which means that family gatherings, office functions, and holiday parties are quickly approaching. 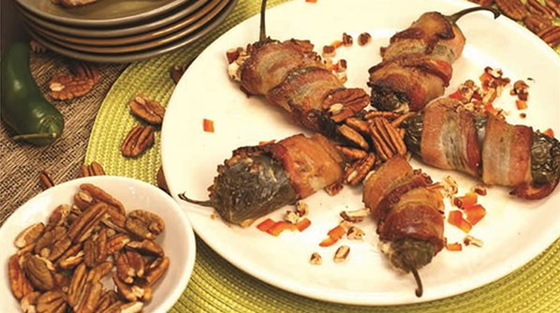 Show up to your celebration with a truly Texan treat – Pecan Stuffed Jalapeños. You can reduce your environmental impact by making this recipe with local ingredients, such as Texas grown jalapeños and pecans. Check out our blog to get the recipe. With the arrival of colder weather this fall and winter, it can be tempting to crank up the thermostat, leading to higher heating costs. In Texas, heating and cooling accounts for as much as 40 percent of your home’s energy usage. Luckily, there are many ways you can reduce your energy consumption and stay warm this winter. 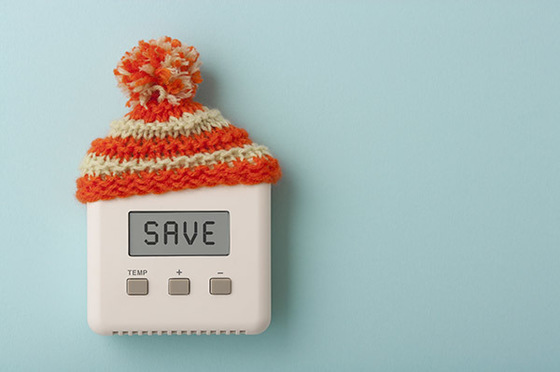 Check out our blog for eight tips to save money on your heating bill. Recycling is important because it helps to reduce waste, conserve energy, and preserve natural resources; however, we only recycle about one third of our trash. Over the winter holidays, we generate about 25 percent more waste, making recycling even more critical. Some of our holiday waste, such as gift wrap, can be hard to recycle. 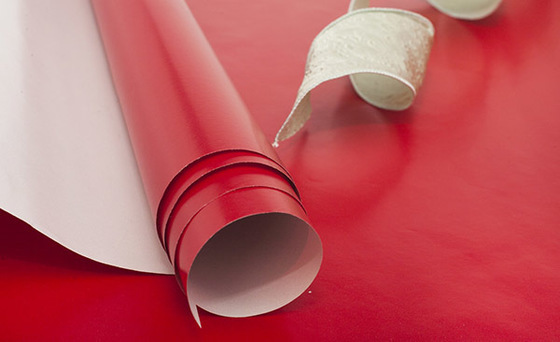 Check out our blog to learn how to reduce and recycle your gift wrap waste. 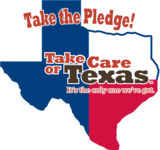 The Take Care of Texas Video Contest ends Dec. 16! It's time to get those videos in the mail. Don't miss your chance to win great prizes like scholarships and GoPro cameras, provided by Waste Management of Texas, Inc. Visit our website to learn more about submitting your video and don't forget to review the contest rules. Registration is now open for the 2017 Great American Cleanup, the nation's largest community improvement program. Any Texan can participate in this event, which will take place from March 1 to May 31. Register your event with Keep Texas Beautiful to get valuable resources to plan, promote and host a cleanup event!